This is a pair of small size brass plated rocking horse stirrups. 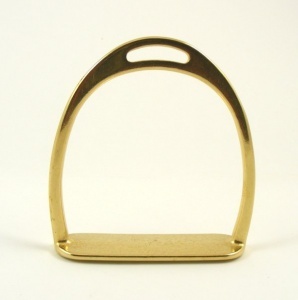 The base of the foot measures 2 1/2" (60mm) across and the height of the whole stirrup is 3 1/4" (85mm). 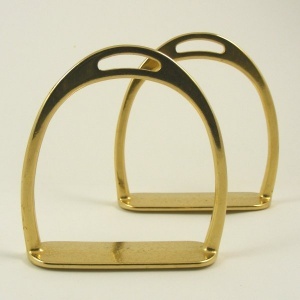 The slot in the top will take a strap of up to 7/8 (22mm) wide.